What you need to know about GSA. The gay straight alliance also known as GSA is a group of people inside and outside the LGBTQ+ community that meet every Wednesday during lunch to talk about LGBTQ+ topics, issues, and have bagels. “GSA is all about the political aspects of the LGBTQ+ community” Sam Sheckler said, a GSA officer and a junior at Garfield. 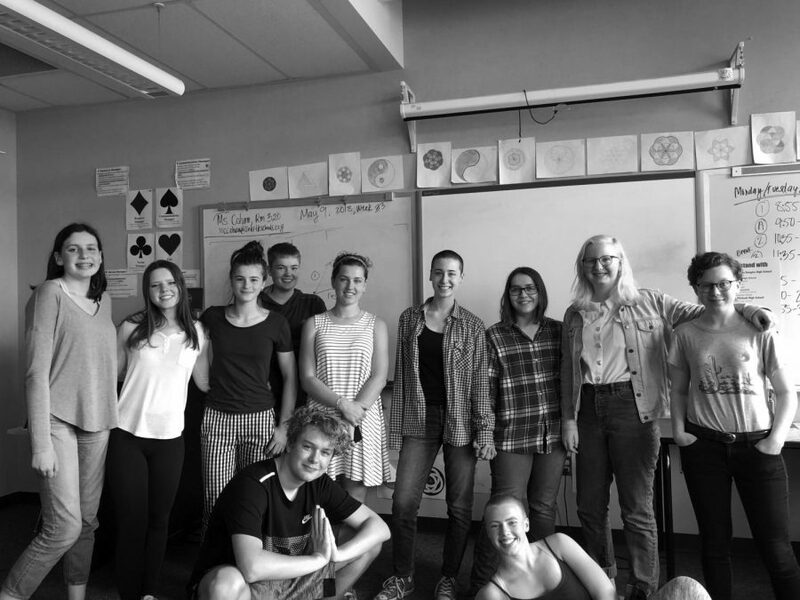 “Our main goal is to have students be informed about LGBTQ+ topics inside and outside Seattle because if you drive to Tacoma and even Olympia it’s like a whole other world” Sheckler said. Sheckler has been a part of GSA since they were a freshman and has seen GSA evolve from cis white girls talking about those issues and topics to a more diverse group of people from the LGBTQ+ people involved. “The club is still dominantly white and most of them are girls, but there are more LGBTQ+ people that come every week now” Sheckler said. GSA is working on the possibility of gender neutral bathrooms being implemented at Garfield in the near future. Having a gender neutral bathroom is taking some time but GSA is hopeful that administration will look into the possibility. “We hope we can get gowns to be all purple and not the purple and white” Sheckler said. GSA would like for every graduating senior to wear purple because separating the seniors by gender excludes non binary students. “GSA is for [even] the closeted people, our goal isn’t to out people, this a place for them” Sheckler said. GSA’s other goal is to have education at Garfield about LGBTQ+ topics so that there are less homophobic and transphobic ideas being spread around the school. On May 30th there will be a city wide meeting at Camp Long in West Seattle from three to six in the evening to talk about LGBTQ+ issues. In June, GSA is hosting pride week at Garfield where each day there will be a different topics teachers will be able to talk about in the classroom about LGBTQ+ issues that happen within the school, outside the school, and LGBTQ+ history. If you want to know more about GSA and even join the club come to their meetings on Wednesday’s in Room 320.